It's time to clear out a few yarns to make room for a brand new addition to our shop. No returns one the sale yarns. 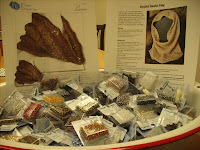 Denise needle kits have just arrived- all under one cover, these are a great traveller's set. I also carry the companion cable set and extra single needle tips with 2 cables. These extras are perfect for the knitter who has many projects on the go at the same time- ok, that's all of us.. It will soon be the last day to order your Knit Picks products for arrival before Christmas. I will be placing my last order on the 15th of December to ensure delivery for Christmas. Small business owners put great thought and planning into the product they bring into their shops. We carefully choose colours, styles, needs and extras that we think will bring joy to your knitting world. So the season of giving has arrived. Whether it's a gift for you or someone else just know that we've had you in mind. It's been nineteen years since my Mom passed away. I think of her often especially when I'm knitting with her knitting needles. The elastics still in place on the ends of the DPNs... making mittens I expect. Remembrance day is the time to remember the brave young men & women who fought to keep the future generations free. Some made the ultimate sacrifice and others refrain from talking about their time in war torn areas of the world. In any case, I say Thank You from the bottom of my heart. My cousin Charlie Weir was part of the Canadian army who liberated Holland. He doesn't talk about it much but such a young man he was at the time. 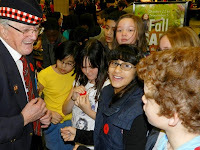 Here's a picture of him talking with school children at a service in London Ontario. http://www.curiousguide.ca/ on page 12. This tourist guide is picked up by day trippers everywhere. 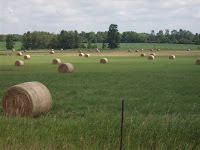 The guide takes from corner to corner of the GTA and around Southern Ontario... The center fold is a handy map to keep tucked in the glove box for further needs. 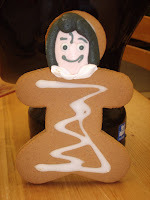 You will find the most interesting stories, jokes, recipes and of course wonderful shops to visit. The paper also dedicates a full page to B&B locations. You can follow the butter tart trail too- now that's fun!! 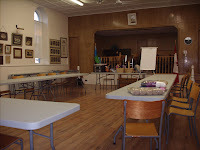 Knit Fest 2011- was so much fun... Set up was early for a 9am start... Jim was in the kitchen preparing lunch for 22 crazy knitters... tough job.. he managed - nicely -the food was delish!! 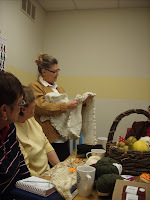 Last week was filled with fun... On Wednesday morning Brenda, Deb Gemmell and myself were introducing the local Rogers morning show hosts to the world of knitting. The table was full of ideas that would fill the one hour show with chat. 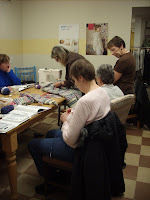 Thursday was our launch of the Thursday afternoon drop in Knit Cafe. 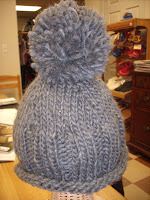 Heather was winding yarn for her latest project - a grey felted bucket hat. Ladies started arriving with bags in tow. We discovered three projects from years past that needed finishing. 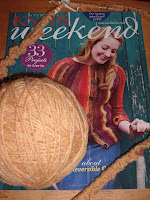 All sweaters in an almost finished state- but not quite... needed Eatons Lady Fair aran colour for two of the projects. The other sweater in need of a collar was rust in colour. It had very deep sleeve cuffs so with a little discussion Shirley decided cutting the ribbed cuff off and replacing it with a beautiful rust tweed was going to do it. So, the cuffs and collar will be a beautiful rust tweed. With Heather's guidance Shirley will get started at their next knitting group meeting in Markdale and by the time our next cafe happens they rust sweater will be one it's way to completion. whew!! oh and she will stop @ Hilda's for a custom cut zipper for the closure. We've been hard @ work in the creative department. 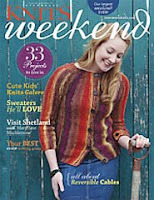 Our latest pattern has been created by Heather Hufton of our Grey Heron Knit Cafe. 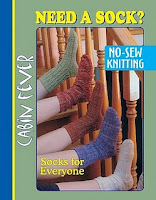 Our drop by Knit Cafe opens on Thursday Oct 27th... Come spend a fun afternoon knitting with Heather. Bring your projects- haul them out of the closet- we all have them- dust them off and head for the Cafe. We will not have formal teaching as this is a drop in setting- but Heather will be able to get you on the right path if you have strayed. 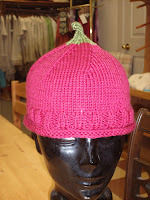 Here's our first of many hat patterns for the colder weather. It can be made for just under $20.00. Made in Viking Garn chunky it knits up in a flash. 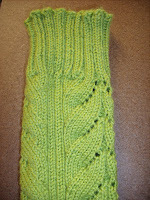 This class is to inspire your knitting creativity, provide you with the tools to change a basic pattern into a gem. 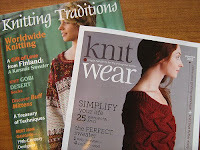 Knitting Traditions as usual has magnificent Swedish and Finnish patterns from days gone by. They never good out of style. APPLE PIE TRAIL WINS ONTARIO TOURISM CULINARY EXPERIENCE AWARDOctober 5, 2011 (Hamilton, Ontario) // The Blue Mountains Apple Pie Trail was awarded best Ontario Tourism Culinary Experience Award this week at the Ontario Tourism Summit in Hamilton, Ontario. Accepting on behalf of the Trail was Patti Kendall the Marketing Manager for the Blue Mountain Village. Sweater Kits yarns in house!! 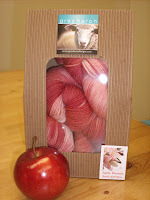 We have expanded our colour range in the Apple Pie Trail sock yarns. The Georgian Blues of course created for the many shades of blue waters along our bay. 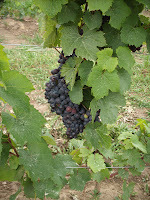 The Grape Harvest is a multi mix of colours. They will arrive this month. This year we offer morning, afternoon and evening classes each Wednesday. Our refresher knitting classes will commence on Wed October 5th @ 10:30am to 12:00pm and again @ 7:00pm to 8:30pm. 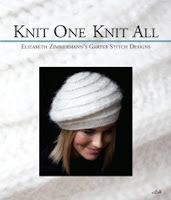 This will be a 2 week class followed by 2 weeks each of learning to knit with circular needles and double point needles. 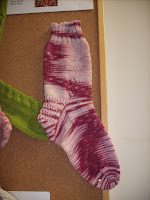 Our afternoon classes will continue for the intermediate knitters @ 1:00pm to 3:30pm. We will offer a mixture of technical skill enhancements and fabulous project designs. The special interest classes such as learning to knit socks, make infinity scarves, felted hats/mittens/slippers, cables, lacework, fair isle work, thrumming and more will be scheduled for each time segment. The full schedule of classes will be finalized by early Sept.
Every Wednesday the knitters arrive for a fun afternoon of laughter & learning.